Most people know then when it comes to market value and brand value Apple is top of the pile. With both hardware and software to its name it’s not surprising; in fact when it comes to the top 10 global companies/brands, the revenues of half of them come from the same sector … technology. So where do other companies and brands rank in the scheme of things? Where do the other top 5 companies’ revenues come from? Whilst Apple’s revenue stream is obvious, many people wonder how Google can rank so highly. After all, it’s just a search engine. Not so, it’s one of the most incredibly powerful income generators that the advertising world has ever seen! The bulk of the company’s wealth has come from advertising revenues. Released in 2000, Adwords remains the main source of Google’s income. Initially it was Google Search users who generated the revenue of course but then Google decided it could make money from advertising when a web user was nowhere near the search engine – on an independent website that had partnered with Google in the Adsense network. From blogs to major publishers such as news sites, millions of websites using AdSense have ensured Google’s revenue has kept growing. 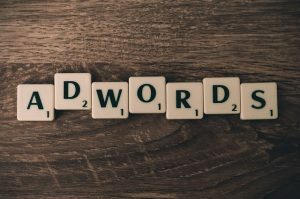 Here are some examples of how Google AdWords pay-per-click scheme generates revenue for the tech giant. Take the keyword ‘car insurance’. There are approximately 550,000 Google searches in the UK every month for this. The average cost to the advertiser is around £5 per click. So if an advertiser were to bid this much and if every search done in a whole month resulted in a click on their ad, then their month’s budget would cost just under £3 million! Having said that, the realistic average click-through rate for such an ad would probably be 10% or less. Even so, at around £300,000 for one month’s advertising, that’s still a great revenue stream to keep the shareholders happy! Google – The Future Of Artificial Intelligence? It has been calculated that around 40,000 people type queries into Google Search every second of every day, resulting in over 100 billion searches done every month. The amazing revenue stream from Adwords combined with Google’s commitment to pushing the boundaries of their interactive technologies mean that the organisation is truly global and has more than 70 offices around the world. The company runs one of the world’s most extensive computer networks (over 1 million servers) and apparently uses 0.01% of the world’s electricity supply. So where does Google go from here? There are lots of theories but the most likely is the development of their technologies to use AI (artificial intelligence). Google Brain already uses machine learning to try to understand a broad range of what humans can naturally recognise including image and audio content. To quote Google itself on its future objective: “Our mission is to organize the world’s information and make it universally accessible and useful, and AI is enabling us to do that in incredible new ways – solving problems for our users, our customers, and the world.” Interested in reading more? Check out the Google AI website for some fascinating reading.